I have been anticipating receiving this book for many months, finally I received my copy yesterday and it was well worth the wait. 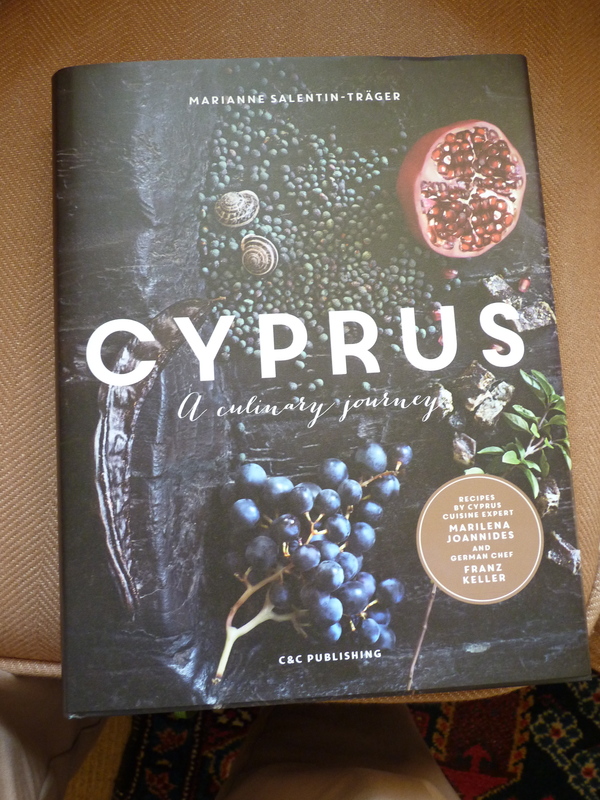 The photography is stunning and the book does Cyprus true justice in its presentation. This is the kind of book I would have loved to have produced if I had had the resources. The initiators and creators of this project are a group of German creatives: one a chef who works with truly authentic and high quality ingredients Franz Keller, Rita Henss a writer, Oliver Hick – Shulz editorial designer, Astrid Zeiglmeier a sommelier, Markus Bassler a food photographer, Anja Jahn a portrait photographer and Marianne Salentin-Trãger a creative media specialist. They had expert help in sourcing the food and recipes in Cyprus from Marlena Joannides who has devoted herself to researching the simple and forgotten recipes of her homeland over many years. So the book is published in Germany but also has an English version. I first started following them on their Facebook page when they started to visit Cyprus to do their research which was about the same time I was producing my book. They visited four times in all in the four different seasons and so have managed to capture the true “feel” of Cyprus throughout its culinary year so to speak, which is where their Facebook page name came from ‘Feel Cyprus’. Again like my book they haven’t produced just a recipe book here this is a journal of Cypriot life with some tales of a few of the inhabitants like the beekeeper in Engomi, the farmer and the miller in Larnaca, the chairmaker in Strovolos and of course they had to make a visit to George the potter in Lemba. The book is dotted with interesting information on religious holidays and all things food related such as of course wine, cheese and salt. It is divided into districts: Nicosia, Larnaca, Limassol and so on and in the middle of it all are some delicious recipes both traditional with a twist and contemporary. It is all in all a beautiful book. You can feel the love and enthusiasm for their subject throughout and I will certainly enjoy trying a few of the recipes. It has inspired me to find out even more when I visit next and this time I want to give myself time to sit and watch as well as chat and discover more. Check out their website below to view some of the fabulous photography. XRISTOS ANESTI ! to all. I know I am a few days late but it resonates over the week don’t you think? I’ve just looked up when Ascension day is and it isn’t until the end of May so if He hasn’t yet ascended Christ must still be risen? For those not familiar with the term it is the greeting given to all you meet after the midnight service on Easter saturday at the Greek Orthodox church. It translates as “Christ is risen” and the response is ” Alithos Anesti” he is truly risen. 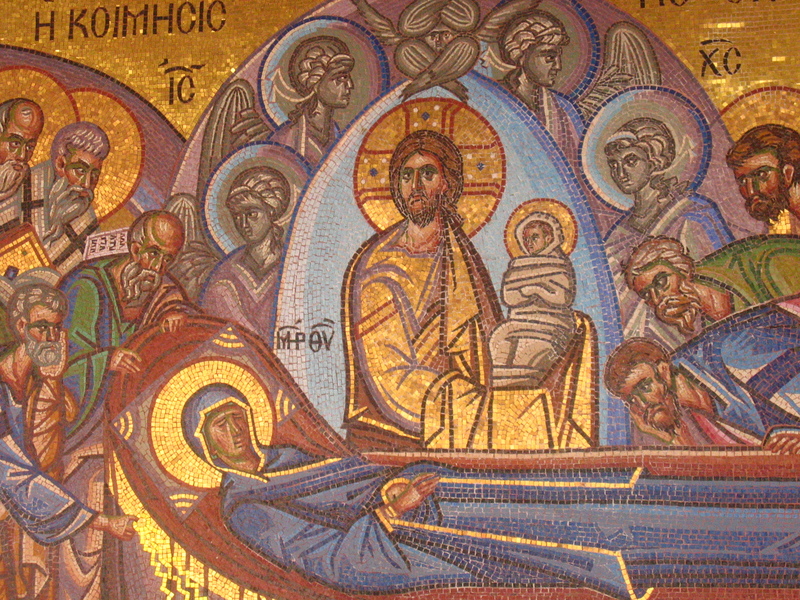 Easter is the most dramatic celebration in the Greek Orthodox calendar and one can see why it is such a loved part of the year. For some reason I had a great desire to be there and join in the preparations and celebrations this year, although I have only been present at Easter time in Cyprus, once. The preparations made and anticipation experienced in the days preceding Easter are akin to how the Western world prepare for Christmas or in the States, Thanksgiving but without the materialism. Lent is the time of spiritual preparation and contemplation of the soul while abstaining from rich food and ‘sins of the flesh.’ Piles of flaounes are made along with the batches of ‘koulourakia‘ biscuits in the week before Easter using many of those forbidden foods; eggs,cheese, milk, butter; the devouring of which are are eagerly anticipated on Easter day . The church is prepared with masses of flowers adorning the sepulchre. Then the dramatic service at midnight when the church is put into darkness, the congregation all light candles and walk around the church three times, on their return the icons have had all the black coverings removed and a bonfire is lit outside. The day itself is when a feast of souvla is cooked and once again meat can be eaten and savoured after abstinence. Even non- participants of all the rigours of religious practice and rituals before the day, all revel in the celebrations that come with the arrival of the day, a time to be spent with friends and family enjoying good food. This time of year has been celebrated throughout millennia when the days grow longer and the earth awakens from its slumbers, the sun growing stronger to warm the ground where green shoots appear once again, and the food cycle starts once more . Easter in pagan times was a time of worship of Ishtar, the goddess of fertility, love and war so the egg would be a very apt symbol for this, some say this is where the word Easter came from. Many Christian celebratory dates were placed to coincide with the pagan ceremonies in order to encourage people to to convert to Christianity without losing any of the festivals. Whatever your belief you share may your days be filled with joy. Xristos Anesti!!! My long prepared for demonstration and talk at West Dean College finally took place on Saturday and to say I was apprehensive in the days leading up to the final hour, was a bit of an understatement. I had made a trip to London paying a visit to Tony’s Continental store in Finchley to gather some of the ingredients but I was more worried about not giving value for money than what the food would taste like as I knew that would speak for itself. The recipes were all tried and tested and most of the dishes I cooked beforehand so just needed re-heating . I left the simple dishes for demonstrating. I wanted to give an idea of the unusual foods that Cyprus had to offer so colocassi of course was there although strictly speaking the taro can be found in a great many countries, trahana had to be included, mixed with some home made chicken stock and shamali made with semolina and yoghurt was for dessert. I took along some masticha and mahlep for the audience to see and smell as well as carob syrup and carob bean. I started by making a simple village salad and sprinkled grilled halloumi on top also offering the fresh halloumi to taste. The halloumi was the real thing made with goat and sheep’s milk and kept in the brine, completely different to the flabby tasteless stuff our supermarkets offer up. Tsakisstes were there and so delicious. My friend Rosemary Moon was assisting and cooking up some koupes while I chatted along about the different foods and cooking up some kieftedhes. It turned into quite a meze of flavours, the audience were invited to come and taste at intervals rather than leaving it all to taste at the end. Many came for seconds and even thirds, the colocassi and trahana as well as the tsakisstes proved to be a great hit. As an afterthought I had also made some skordalia to be eaten with the other things and wasn’t sure they would like it as it was so strong but this too disappeared. My friend Lois came along to take some photos and shoot a bit of video and she wasn’t left out when it came to tasting the food. The audience all had some experience of Cyprus and apart from one man all had visited, or lived there, several had been in the British Forces, there were also a couple of people who were Cypriot and born in the UK, we had a full house. After a tea break I gave a slide show and talk about the crafts but it also ended up with photos of more food by request. I felt that most had come to re-visit happy memories of the food and island and there was a genuine love of this magical place. It seems that Cyprus touches people in their hearts. I found it a great pleasure to act in my humble way as an ambassador for this place and share my enthusiasm for the food and crafts. I found I had to put quite a bit of time into the preparation of both the talk and the food but it was worth it. Now I have one under my belt I wouldn’t mind doing another one…. but not quite yet!!! I am continuing to read Ethan Hubbard’s book “Trei Elies – A journey in Spring” and learning about the inhabitants’ daily lives. When walking around this quiet village with its ageing and fast disappearing occupants, it is easy to fall into a false sense of an idyllic life that one would lead if living here. How tranquil it seems, how wonderful to have such magnificent countryside on your doorstep with the ability to grow all your own food in this verdant and fertile garden. The reality for these villagers of course has been very different. It has been one of struggle and hardship inevitably. Day to day living took effort and stamina. There have been times of great deprivation in the earlier years of poverty. Roads were rough tracks from villages this remote, donkeys and your own two feet were the mode of transport. I can remember in the early 1970’s many of the side roads were still rough tracks very unlike today where all but a handful of very minor roads are beautifully surfaced in tarmac making driving a lot easier. Food was grown or foraged from the countryside and houses were mainly just basic rustic dwellings no fancy kitchens and bathrooms. But the conditions produced a tough breed and even in their eighties the old women of the village go down to their gardens to weed and hoe and plant tomatoes. This of course at least keeps them active and in the fresh air rather than stuck in a stuffy room watching daytime telly!!!! The surrounding gardens provide cherries, almonds, walnuts, strawberries, there is certainly no shortage of these things. The village today is well-connected with the good roads and four-wheel drive trucks have no trouble navigating side tracks even when heavy snow arrives. Now with modern technology nowhere is completely cut off and communication is possible from the remote corners of the world. All manner of new ways of living in these villages could be possible for a younger generation should they wish to explore an existence closer to nature. Nowhere stays the same forever and change is inevitable. I am a great believer in remembering the past as it helps us navigate the future but we cannot keep the past preserved in aspic, life must evolve. 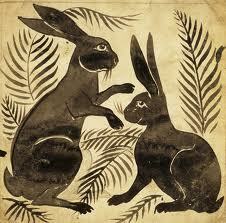 To buy a copy of Ethan Hubbard’s ‘A journey in Spring’ contact Androula Christou on (00)357 99527117. Well the planned talk demo at West Dean College is getting nearer and my time seems to be getting eaten up with so many other demands that I seem to have the feeling of running towards it but wanting to put myself in reverse or on the spot. I will just have to make myself sit down and ignore the other things until I’m happy with my plan for the talk. Of course I have to write this blog first and then go and do some painting but apart from that! I have managed to collate most of the photos in some order and have a rough outline of the food part, with lists being drawn up. What I fear the most is not giving value for money so I could end up over compensating with too much food; very Cypriot, or too much information. You know the sort of talk when the speaker bombards the audience with endless bits of information and facts that they end up looking glazed. I want to keep it entertaining as well as informative. My hope is the audience will leave feeling they have tasted some good food but also learned a little about Cyprus. I will have to aim to emulate my helper and instigator of this event, Rosemary Moon who is an experienced food writer and demonstrator and gives a good line in banter when she delivers her demonstrations. I think once I’ve worked out a clear running order of when to do the cooking and where to do the talking I should feel more confident. 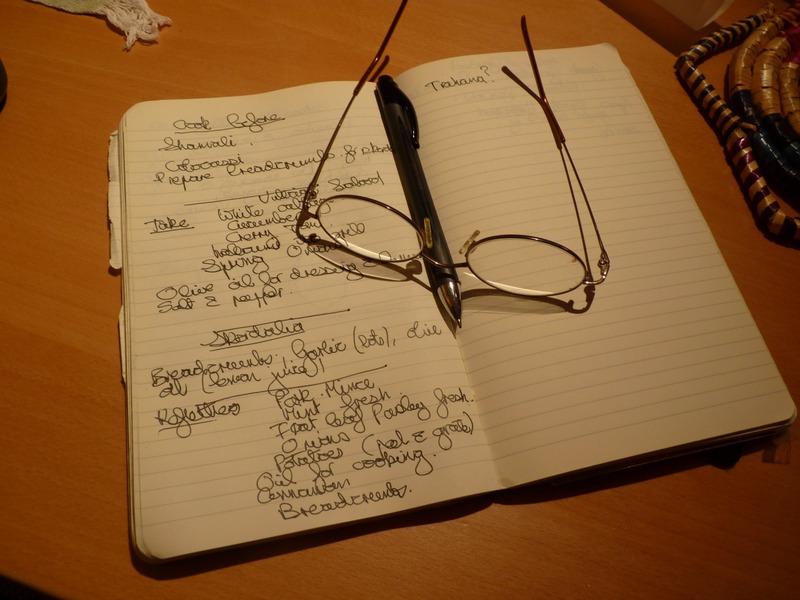 Just writing this blog has just inspired me to leave off and pop over to my West Dean notes and jot a few things down that occurred to me, so you could say that I am working on several fronts at once. I am thinking of making another trip to Cyprus in September to do another little sales push and mingle as well as follow a few interest while I’m there. There are still many place I want to see and landscape I want to spend time with as well as revisiting old friends and haunts. Writing about it always makes me even more curious and wanting more. I know it may seem like a long way ahead but I’ve been thinking, on and off, about my debut as a cookery demonstrator in February. Yes, the world has gone topsy turvy. I can cook of course but I do not consider myself in any way as ‘a cook’ if you see what I mean. I still have to read recipes when cooking cakes, I measure most things instead of judging by eye. I like to try out new things and as regular readers will know I love a good cake recipe. It was only when I stopped regular work a few years ago that I really had the time to think properly about cooking and when I was researching for the book I tried out a lot more recipes. Like most things you become more confident and knowledgeable with practice. I was asked to do a small demonstration and talk on food and crafts relating to my book by a local private college that runs short and long courses on food and art & craft subjects. 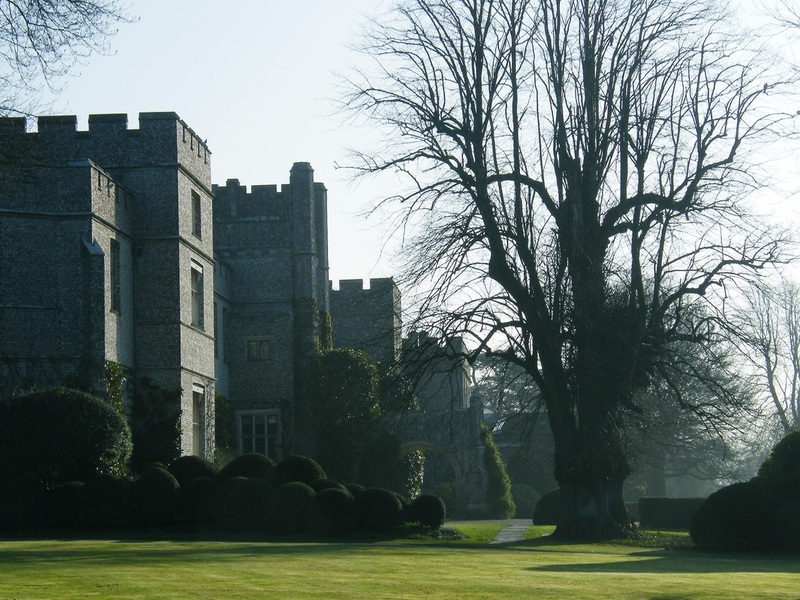 The college, West Dean, is run by the Edward James Foundation and my path has led there on more than one occasion over the years for many different reasons. I of course have done a few courses on rare occasions but I have also worked there. For many years I used to give a lecture to the furniture restoration students about painted furniture restoration once a year, more recently I did a concentrated 3 day session with the post-graduates. When the renowned interior decorator David Mlinaric was engaged to give the dining room and surrounding areas a makeover in the 1980’s they asked me to work with him on the stencilled frieze that ran around the walls. I have even worked part time as a kitchen assistant, so now I find it a little ironic that I’ve been asked to do this talk. As it’s only half a day and the first half is only one and a half hours long I’m going to have to find a few things that are quick and possibly take some things that are already prepared. While I’ve been pondering, I always wanted to try making skordalia. Although I’ve never eaten this in Cyprus it is eaten with salted cod in Lent and sounds delicious. It is a dip made with stale bread soaked in water to soften, olive oil and garlic pounded with salt. You can add nuts, almonds or walnuts and also it can be made with mashed potato. I made some today used stale bread and pine nuts, if you like fresh pesto you’ll love this. I think this may be one thing I can take and a melitzanasalada which is another dip made with aubergines. I also want to make some keftedhes. These are those tasty little meatballs that pop up everywhere especially at weddings and parties. Of course I’m tempted to make a cake and the one that is so popular in Cyprus, Shamali. I’ve even made a video of this, check out the recipes page on the drop down menu under food. As it’s one of those rainy summer Saturdays, my plans have had to be slightly altered and instead of my trip down to the community garden I have been catching up on a few jobs at home. One of them was to do my weekly bread making; I was looking forward to having a few slices for my lunch with some lovely cheese I bought yesterday. I was getting hungry and the bread still had to bake and cool for half an hour so what to eat? Last night I experimented a bit for my dinner. I grilled a herring and to accompany it I cooked leek and cabbage tossed in butter and seasoned with salt and pepper. I steamed some sliced potatoes with sliced carrots ;all the vegetables were from the garden. When they were cooked I tossed them in butter and olive oil, salt & pepper, a few capers and a dash of lime pickle sprinkled with chopped coriander leaves. I had some of this potato left over so I heated it up with a little olive oil in a skillet and added a few slices of apple until the potato had crispy edges and the apple was soft. I grilled a sausage, slicing it down the middle finishing it off by crisping it up with the potatoes. Last Night I had reduced down some beefsteak tomatoes with garlic, salt & pepper so I put a few teaspoons of this on the bottom of the dish and placed the sausage and potato on top. I have to say this was tasty. I can’t show you a picture as I scoffed the lot sharpish as I was hungry but I can tell you it looked very pretty. The tomatoes were red and orange, the potato had golden edges speckled through with orange carrot and green coriander. I have been watching Celebrity Masterchef the last couple of weeks and I think it’s starting to affect me!!! My Good friend Gill just can’t seem to get enough of this Revani recipe…. Getting something new is always exciting, even when it is a new oven. 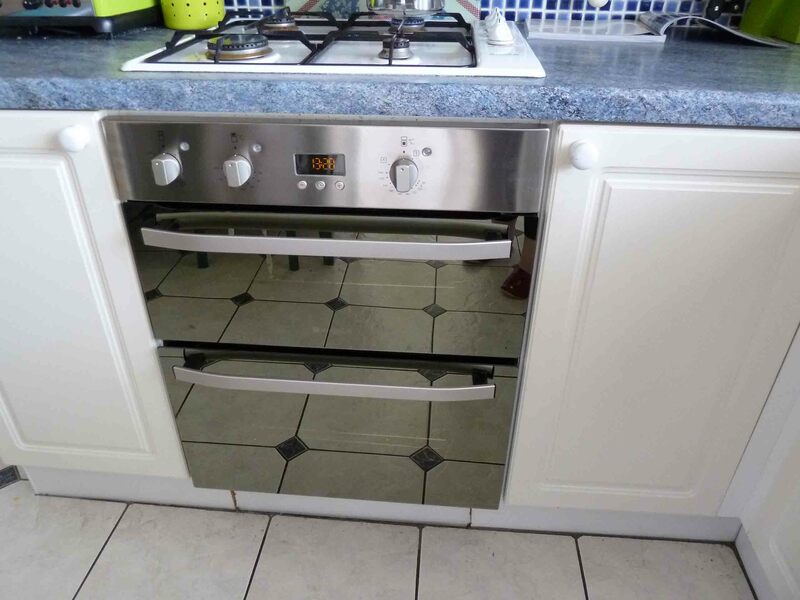 Yesterday I was the lucky recipient of a shiny new oven to replace my old one which had blown the main oven element for about the 5th time, and lets face it, there are only so many times when a repair is the better option and this was not one of them. Before I made my visit to Cyprus I arranged with the lovely Inga of Inga’s Veggie Heaven fame, to do a small book signing event at her cafe. Inga very kindly notified people and posted on Facebook as I did . I wasn’t sure how it would turn out as it’s an unusual event for Cyprus and this part of Lefkosia where the cafe is situated, doesn’t have a very heavy footfall of passers-by or tourists, the clientelle knows of the cafe and makes a special journey to frequent it. But I liked the place as it’s situated on the corner of a small craft centre with workshops scattered around a courtyard, also the food is delicious. It is open mainly for lunch and I arrived at 1pm so that I could enjoy a relaxed meal before the ‘crowds’ arrived! I started with a refreshing glass of chilled home-made lemonade and a chunk of home-made bread served with houmous. For my main meal I ate a fragrant plate of vegetarian lasagna and delicious fresh salad. The whole cafe has a gorgeous aroma of bread, herbs and general deliciousness that I wish I could bottle and take home with me. Needless to say we were not rushed off our feet with the onslaught but I will say that quality is better than quantity. I spent a delightful few hours chatting to Inga and her Italian second in command Itale, a friend of Inga’s turned up to buy a book and have it signed and stayed to chat with us. Then an American man wandered in with a cleverly designed fold up bike to sit and have lunch and straightaway bought two copies of the book. Inga’s had been recommended to him some time ago and he had promised himself a visit at some point then he was told about the book signing and decided Tuesday would be the day. He lingered over his meal savouring the food and reading the book, occasionally joining in the conversation. He will certainly return with his wife who is a vegan. Tuesday was a day of visits and I passed by some of the places that stock the book to say hello, my last being Mouflon bookshop, where I was given further information to follow-up and told the good news that they had sold all the copies of ‘Androula’s Kitchen’ that they had in stock and needed some more. So I ended up feeling fulfilled and content. I was recently alerted to the Cyprus wine site via Cyprus Diverse City reposting a few articles of theirs today and I have followed their example. I personally know nothing about wine but I do know that the winemakers of Cyprus are developing and improving their wines to great sophistication these days. So it is good to know of a site such as Cyprus Wine where I can go to find information. The article below certainly gives food for thought. Baïcchus: The high altitude Tour of Europe’s vineyards. via Baïcchus: The high altitude Tour of Europe’s vineyards. This sweet fortified wine which I have known since childhood as my father always kept some by for Christmas or visitors, has been produced on the island for centuries. I love any stuffed vegetables cooked the Cypriot way. Aubergines, courgette, tomatoes and not forgetting vine leaves. Of course always I have “Androula’s Kitchen- Cypus on a Plate” on my mind and trying to work out my next step towards getting in print. That never goes away in fact it goes around my head constantly buzzing like some persistent mosquito! I think I know exactly where I should go next and then a new bit of information comes my way and scuppers my plan so it’s onto the next idea. But it has been said by many wise people that determination wins the day so that helps me re-focus and move forward however slowly it may feel to me, every step I take is one step closer to success. The gardening I mentioned has been mostly at the community garden to which I belong in our village. It has been quite a stressful growing season this year as we have had so much rain together with cold temperatures. I was tending quite a big plot of potatoes and onions and these took up a lot of my time it seemed, battling against the elements and disease. Surprisingly we still managed to get a fair old crop and now it’s potatoes and onions with everything. Onions are a major part in cooking, so many dishes use onions as a base for flavour and they are good for you too. 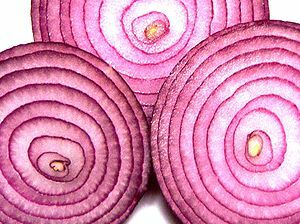 Onions are good for the prevention of heart disease and also act as an anti oxidant. We have also been growing garlic , which is of course the same family and the thing I found surprising is how sweet fresh garlic tastes. As we have had such wet weather some of the onions have suffered and needed to be eaten straight away as they would rot if stored. So it was a hunt for recipes that use onions. I have been making onion tarts which in fact are a bit like a pizza but with just caramelised onions, anchovies and olives on top. Delicious, but it’s really a French recipe and as this is a blog about Cypriot things I think a Cypriot recipe is in order. 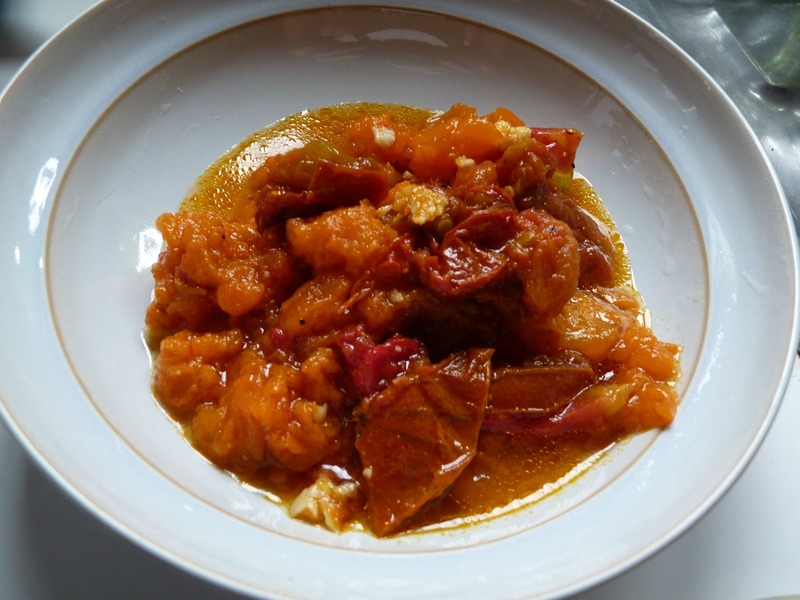 There are several Cypriot recipes that use lots of onions, my favourite is Stifado which also uses potatoes so perfect for my purposes at this time. Rosie, a friend of Androula’s and a great cook, gave me this recipe and I use it a lot. Enjoy. Fry the rabbit pieces in the oil until the meat turns golden then take out and put aside. Peel the shallots or onions, if using onions cut them into quarters but leave the shallots whole, peel and cut the potato if necessary and add to the juices in the pan, cook until the onions are soft. Put the meat back in the pan together with the peppercorns, salt, bay leaves, cinnamon, red wine and red wine vinegar together with the tomato juice or puree give everything a good stir. The liquid should cover the meat so add a little water if required. Taste and adjust the seasoning, then cover and leave to cook on a low heat or cook in a moderate oven gas mark 5/190C for 1½ to 2 hours until the meat falls from the bone and the juices are reduced. 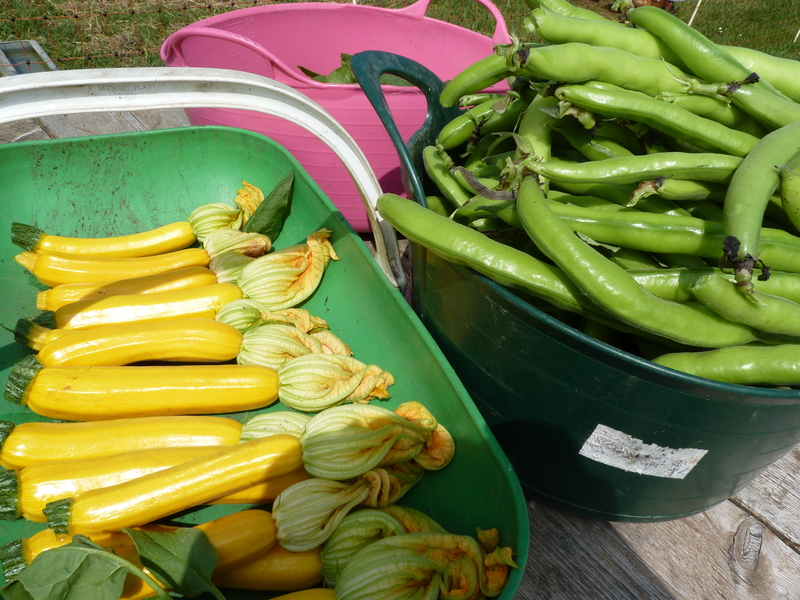 In the UK it is the season of Broad Beans and down at the Tangmere Community Garden we have a fine crop of them so we were discussing ways of cooking them. I love these beans, when young both their shells and contents can be cooked to provide a delicious vegetable to add to your meal. They can be dressed with lemon juice and olive oil simply, with salt and pepper to taste or why not try the following method which my cousin Androula gave me. Pulses being an important staple in the Cypriot diet I have of course included it in my book “Androula’s Kitchen – Cyprus on a Plate” ( pending publication). Fresh or dried broad beans can be used for this recipe. 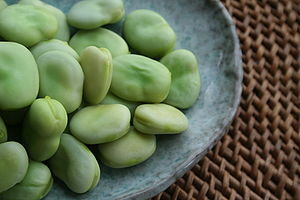 Cook the shelled broad beans or the dried beans first and then drain. Heat some olive oil in a deep-sided pan and add crushed or chopped garlic to your taste, and gently fry. Add some wine vinegar (about 142ml for two people) and a little flour and stir to thicken slightly, then add the broad beans. Leave for a few minutes to absorb the flavours and serve at once. More olive oil, garlic and fresh mint can be added to your taste. As with a lot of Cypriot dishes it includes a few ingredients which together produce a delicious dish, either as a simple meal in itself or as an accompaniment to a larger course.